The technology behind Hallmark Business Connections puts your good intentions into action quicker and easier than ever before. Our tech empowers you to connect. As the B2B subsidiary of Hallmark Cards, we create secure digital platforms and convenient services to make appreciating, recognizing and rewarding employees and customers easy, heartfelt, manageable and impactful. Just as importantly, we enable you with the data and insights to monitor, analyze and measure the ROI of your engagement efforts. Speaking as one big company to another, we know your needs. Our technology simplifies staying connected without sacrificing sincerity. If you’re looking for automated card or gift card sending for your entire database, we have that. 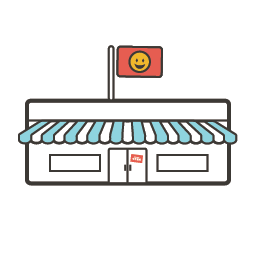 Need a platform for a more personalized approach to employee recognition or customer outreach? You’ll enjoy a brand-right custom-designed program. Want Hallmark cards or gift card incentives right now? Let’s go. 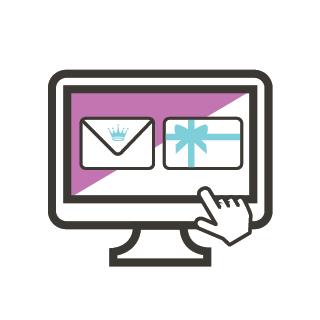 From employee recognition to customer appreciation, holidays to birthdays to life events and more, we have a variety of business greeting cards, awards and gift card incentives you can easily pick, personalize and send today. Shop Hallmark cards and gift card incentives now. with the human experience at heart. Hallmark Business Conenctions is in the business of building relationships. And that starts with you. From the start, you’ll be collaborating with our experienced roster of account managers, account directors, creatives, customer service representatives, IT developers and others. We’re here with answers to your questions, taking care of all the details, doing the heavy lifting…at your service to listen to your unique needs and find end-to-end solutions that generate the results you desire. From strategy development to optimization, program launch and beyond, our focus is on you and your goals. We’re more than a vendor. We’re your partner. Our technology makes it easy to engage any number of employees and customers. Whether you’re looking for a robust enterprise-wide program or a simple D.I.Y., we’ll get you there without ever losing sight of speed, convenience or sincerity. From connecting 1:1 to connecting to 1 million, we make the process simple and stress-free. Easy to adopt, easy to use. Our platform solution is easily integrated and seamlessly incorporates your HRIS data, allowing you to align, adjust and scale your recognition efforts as you see fit. Admin simplicity. Monitor participation; get centralized reports and more via a convenient dashboard tool that analyzes all aspects of your program and keeps you thoroughly notified and in control. Real-time ready. Recognize in record time via a Hallmark award to make the most of the moment now, not days or weeks later. From laptop, desktop or mobile device, you can access your program 24/7. Plus single sign-on functionality helps ensure secure use. 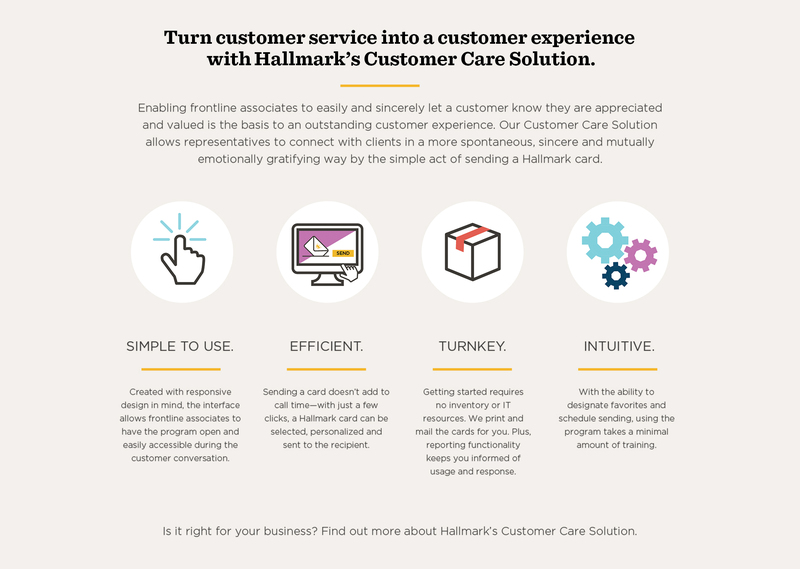 Engage with ease with Hallmark’s employee recognition solutions. A solution to consider is this: Find a way to systematize and streamline the act of spontaneous note-sending—not to make it less spontaneous, but to make spontaneity require less effort. I saw this in action.